Learn about the goals of the long game – Victory Points, Treasures, and Wonders of the World. And finally, the end of the world after several months of competition. 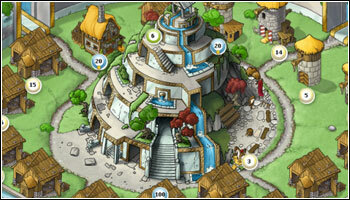 To craft my strategy for a huge strategy game, the first thing I usually consider is the game’s objectives. After all, those are what I’ll be working toward! 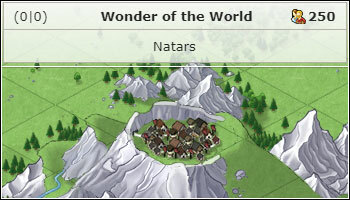 Unlike many other perpetually running online games, Travian Kingdoms’ worlds are limited in duration and also feature a victory condition to be contested. So, if you’re here to slowly build a merry little village to marvel at forever and ever, I’m afraid that this game unfortunately just isn’t for you. The actual point of the game is to amass the most Victory Points over the course of a round and trigger the end of the world by constructing a Wonder of the World to level 100. Victory Points represent the game score and can only be collected by the eponymous kingdoms that comprise lots of players. The game is played and won by teams of players! Victory Points are accrued over time by gathering and keeping treasures in the Treasuries of your kingdom, and by looting treasures from more powerful kingdoms. A village with a full treasury. The kingdom with the most Victory Points by the end of the game world wins. However, the end isn’t triggered at a specific point in time, but instead by the expansion of the Wonders of the World. There are only 7 Wonder of the World locations spread all over the map, where the end of the world can actually be triggered. And these locations become available for players after a certain point in time on a world (111 days on a regular game world), when the mysterious ancient tribe of the Natars makes its full appearance. A wonder village waiting to be conquered. When conquering a Wonder of the World village at one of these special locations, players will find it contains a special building,a Wonder of the World, which can then be upgraded up to level 100. This is both expensive and time-consuming, and the process can only be afforded – and defended – by the greatest kingdoms. 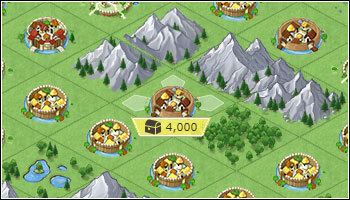 The time required to conquer, level and defend a Wonder of the World village is immense, so a regular game world will usually last about 5 months before the end is reached and the victorious players reap their rewards. A fully built world wonder! In the game, kingdoms contest treasures that give them Victory Points, and the game is concluded when someone builds a Wonder of the World to level 100. Once the game world ends, the victors claim their achievements and the respect of their enemies; the losers may wish to retry and hope their new friends and experience help them fare better. That’s how it works – rinse and repeat. As you and everyone else on your chosen game world is working towards an actual goal and contesting resources that will help achieve victory, you’ll have to play competitively or be beaten miserably. And sometimes even the former doesn’t save you from the latter. You’re in for a hell of a ride anyway. To survive in such a highly competitive environment, you’ll have to set yourselves some goals for your play as well, and relentlessly work toward the inevitable final battle. That’s what we’ll look at in the next chapter.